Miami Vice - The True Story! What an excellent read! 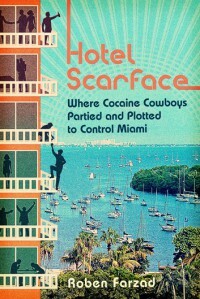 Hotel Scarface is the story of the "Mutiny Club", a hotel/club/restaurant in Miami. It's set in the 1980's, running up to the present day. The Mutiny Club was the nucleus of the 80's cocaine scene, and of the "Cocaine Cowboys". Think "Miami Vice", "Scarface", and the "Godfather". Then add in anti-Castro patriots, the Marielitos from Cuba, the Columbians (including Pablo Escobar), the Iran-Contra fiasco, Manuel Noriega, Janet Reno, and a whole host of professional ball players, actors, and politicians. 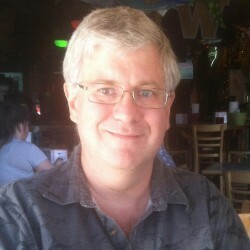 All of those frequented, or had connections to, the Mutiny Club. It's just an amazing story. And handled so well. At times, just the amount of names and characters can seem overwhelming, but if you take a breath and think a bit, it's not hard to follow. You want to just keep plunging ahead, because it's such an exciting story, but you really need to slow down and savor it a bit to get the full effect. Farzad fleshes out the characters well, so you get the sense that you are there with them (and that's a scary thought). The story goes beyond the Mutiny Club itself, into broader settings, worldwide, but the author manages to keep tying the story back to the Club itself. I was fortunate (????) enough to meet several of the characters myself, not on their level, but during my career in the Federal Bureau of Prisons. The descriptions of the manner and bearing of the "drug lords" is spot on. As is his descriptions of the lesser players, and especially of the Mariel Cubans. I think I could write a book myself, just on my experiences with these people. And, finally, the ending. Not to spoil it, but Farzad describes well the zeal with which the Federal government goes after these people in court. As they well learned, once the Fed's decide they want you, it's curtains for you. It's just a matter of time. As you can tell, I really, really enjoyed this book. More than most of the other 60-odd books that I have read and reviewed this year. I highly recommend this one!